Lola goes to get her eyes tested at the optician's. When a storm strikes, Lola becomes afraid of the thunder. Lola is excited for her first ever sleepover at Lotta's house. 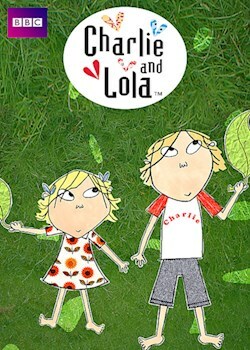 Charlie and Lola fall out with Arnold from next door. Charlie and Lola try to train Marv's dog Sizzles. Lola learns how to ride her bike without stabilisers. Lola accidentally sells Charlie's swimming goggles. Charlie and Marv struggle to come up with an invention. Charlie and Lola build a very special sandcastle on the beach. Lola gets hiccups on the day of the school concert. Lola gets in trouble when she has a bad listening day. Lola secretly hates the horrid new hat that Lotta has given her. Lola tries to find a type of dance she's good at. Lotta and Lola decide to play a trick on Charlie. Lola finds a toy rabbit near school and wants to take it home. The children set themselves a challenge on a rainy day. Lola decides that she is going to be good and helpful. Lotta and Lola become determined to find a fossil. Morten accidentally shatters the children's Halloween pumpkin. Lola thinks that Charlie and Marv have fallen out. Lola tries to start a new craze at school. Mum and Dad let Charlie and Lola camp out in the garden. Lola decides that she wants a pair of ice-skates. Lola doesn't know what to do when Marv's party clashes with her other plans. It's Save An Animal week at school and everybody is joining in. Lola needs to find someone to play with.